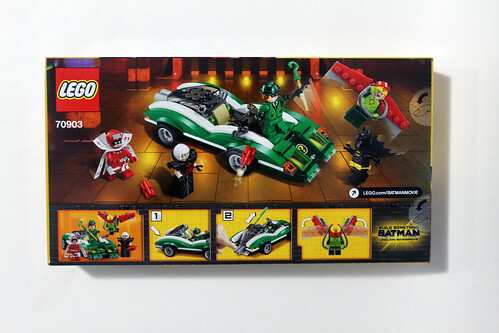 Strolling along my reviews of The LEGO Batman Movie sets, the next one I’ll be doing is The Riddler Riddle Racer (70903). 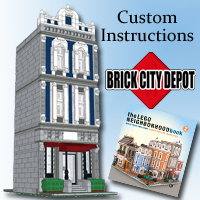 This set has 254 pieces and will retail for $29.99 starting in January. 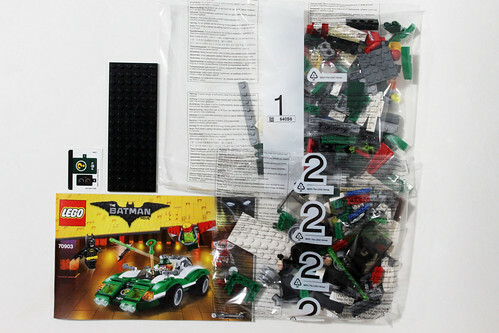 The contents of the box include two numbered bags, a small sticker sheet, a loose 6×16 black plate and the instruction booklet. 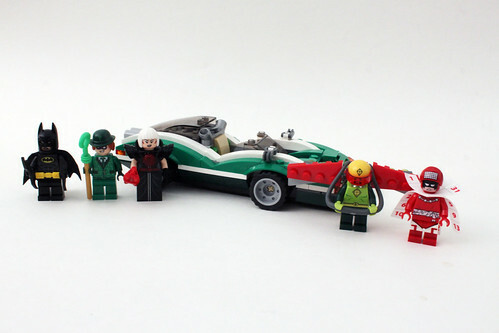 Very rarely in a licensed set at this price point that we see more than four minifigures but in this set, we actually get a whopping five, Batman, The Riddler, Magpie, Calendar Man, and Kite Man. 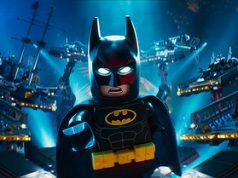 Batman is in his usual black suit that we’ve seen plenty of times already. 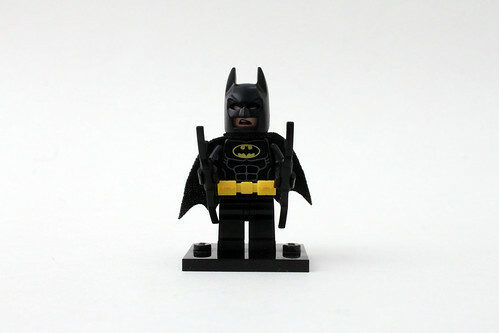 The facial expressions on this version of Batman include a stern look on one side and a disgusted look on the other. 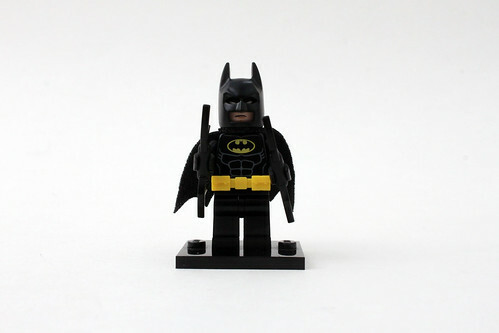 His accessories, not surprisingly, are the Batarangs. 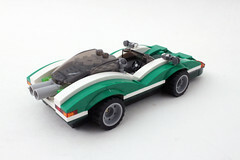 This Batman is not exclusive to this set as he also appears in The Penguin Arctic Roller (70911). The Riddler is the main character in this set and he looks the part. 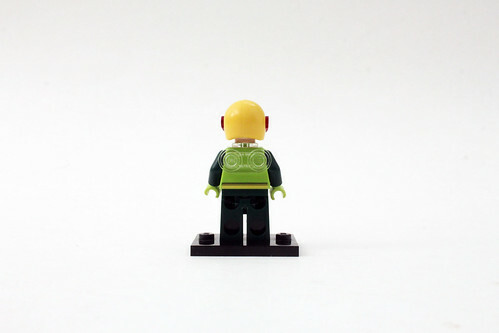 His green suit has question marks all over the front and back of the torso. He has a double-side head with an angry look on one side and a sinister smirk on the other. 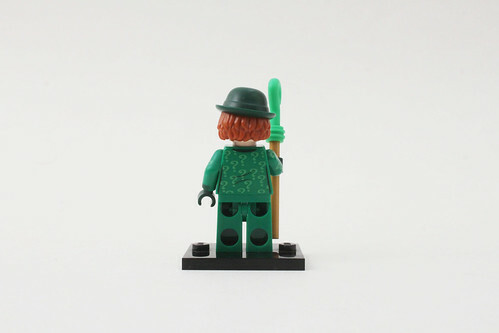 The bowler hat and hair is a new mold and it looks nice with the hair sticking out from the sides and the back. His accessory is a question mark staff. Magpie is anothe fairly obscure character that will play some part in the movie. She wears a pretty normal looking dress with a red belt. 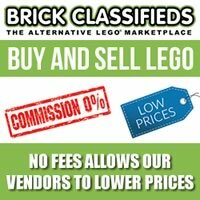 The legs for the dress is the 2x2x2 sloped piece. 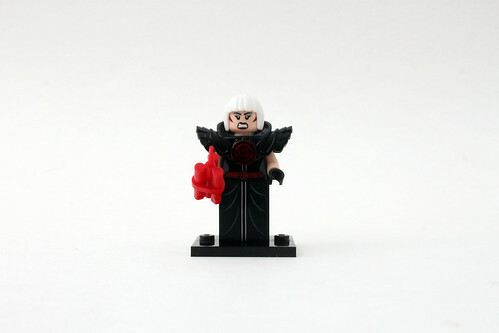 Magpie also wears an armor piece with a red 1×1 round tile to complete the outfit. 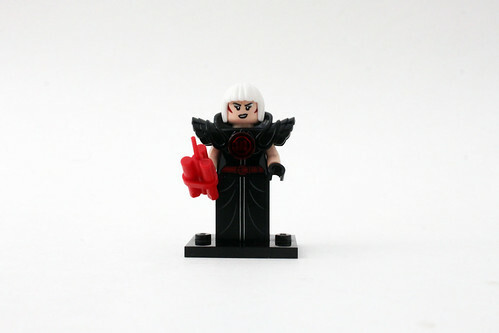 She has a double-sided head with a smirk on one side and an angry look on the other. 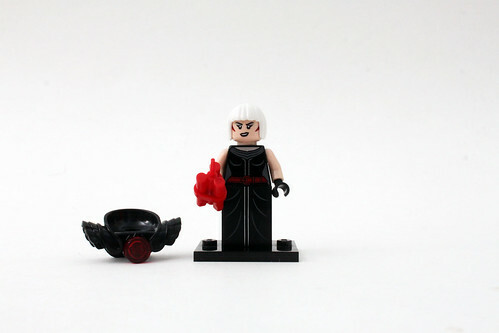 Her hair is a white bob. Her accessory is a stick of dynamite. 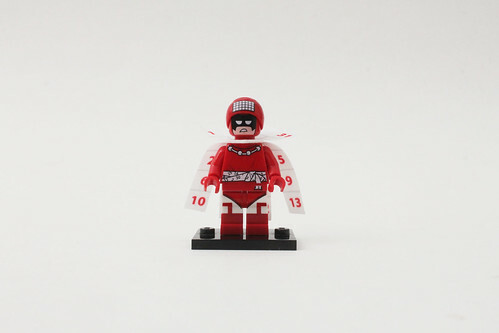 Calendar Man is based on the classic version of the character whose crimes that are committed have a relationship to the date that they are committed. 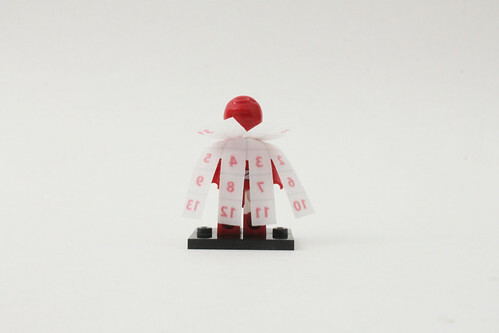 He has a red suit that has a white sash around the waist that has numbers around it. He wears a two piece white cape that has numbers going down it. His head piece just has printing for his mask and he also wears a helmet with calendar printing. Kite Man wears a lime green shirt with dark green arms. There’s a kite symbol across the chest as well as on the belt. 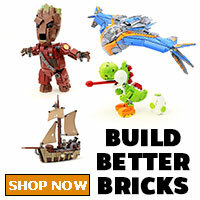 He has a double-sided head with an angry look on one side and a maniacal laugh on the other. 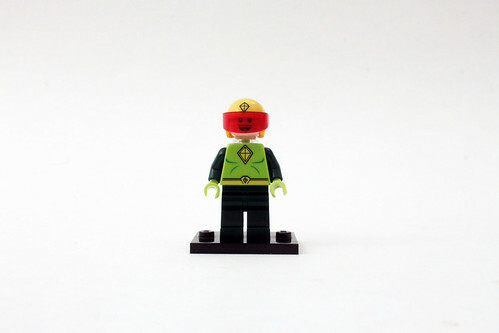 Kite Man wears a yellow helmet with red visor that also has a kite logo. His accessory is some sort of kite device that attaches to the clear neck bracket piece. 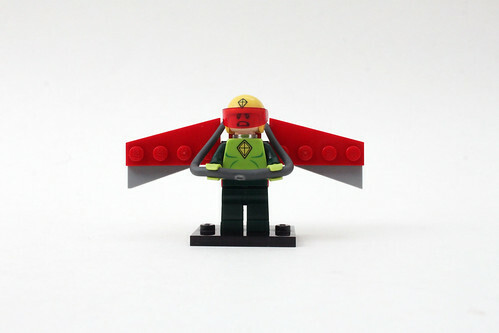 The kite is basically some wing pieces on hinges with some trans-yellow studs as boosters. 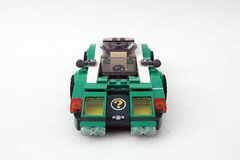 The other part of the build is basically the Riddler’s Riddle Racer. 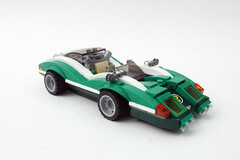 The vehicle is mostly green with some white stripes along the sides and it has a very sporty design. 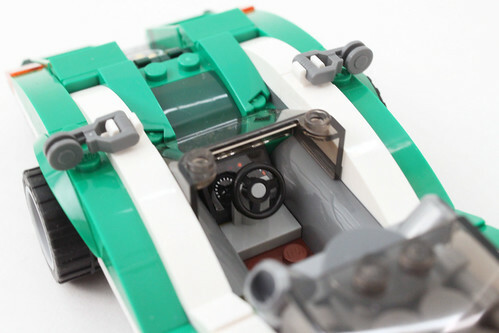 In the front end of the car, the headlights are on hinges that are angled downwards slightly. 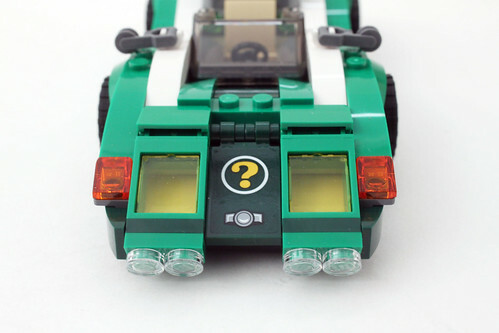 Between the headlights, there’s a 2×3 dark green tile with clips that has a sticker of the Riddler’s question mark. 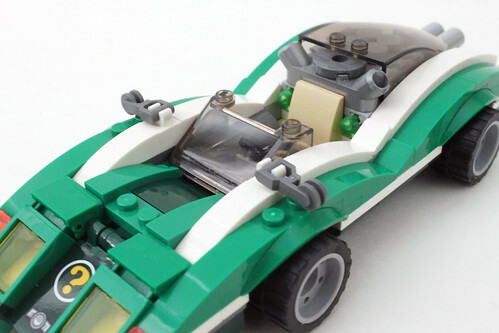 On the sides of the car, there are some slide handles that act as side view mirrors. 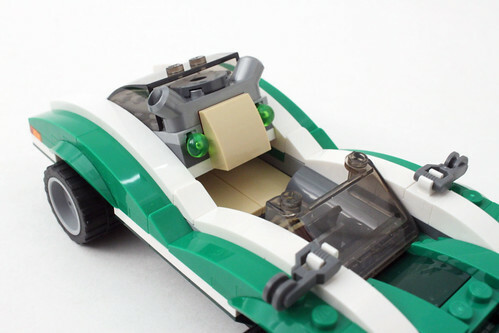 The driver’s seat area is pretty plain with only a seat for the Riddler. 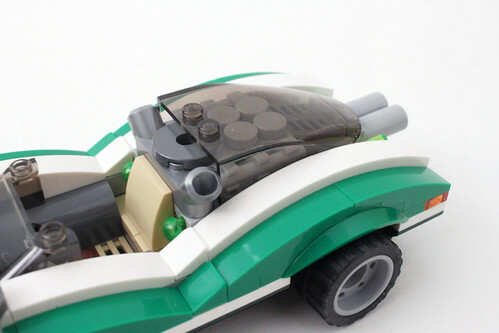 The dashboard is a sticker piece on a 1×2 slope. 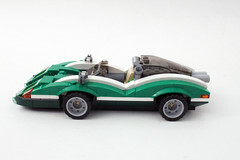 The back of the Riddle Racer is the play feature of the set. 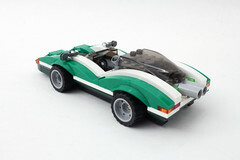 In its normal state, it may seem that the area just contains an engine under a glass with the exhausts in the back. 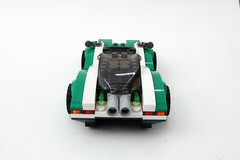 However, the whole section is on some hinges that lifts up to reveal some spring-loaded missiles. That’s as far as it goes as far as play features are concerned. 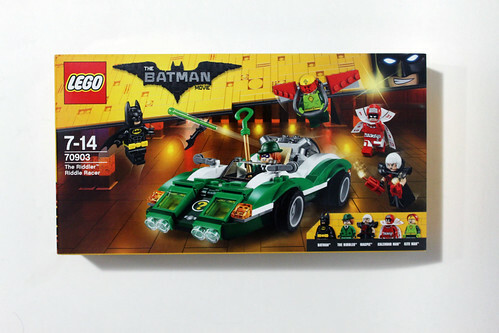 Overall, The LEGO Batman Movie The Riddler Riddle Racer (70903) is a mixed bag. 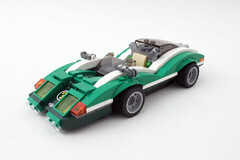 THe set clearly shines more towards the minifigure selection than the car. 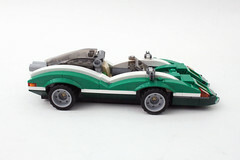 As I mentioned before, there are five in this set, four of which are exclusive to this set. Although a majority of them are obscure characters, it’s nice to have them included. 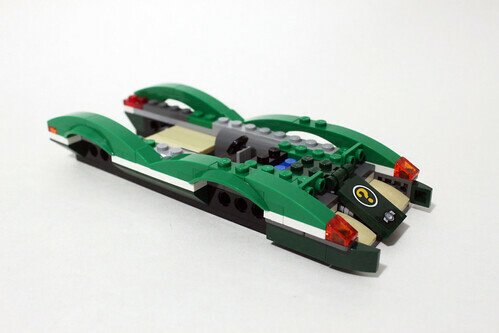 As for the Riddle Racer itself, it’s nothing too spectacular. I do like the low-profile sporty look of it however the spring-loaded missile play feature is mediocre at best. 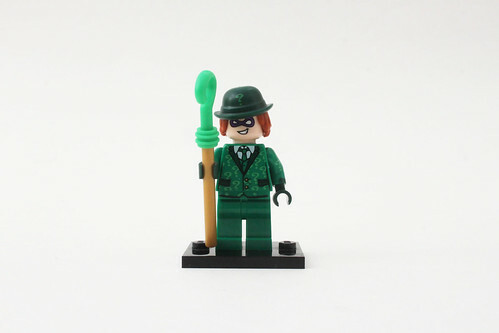 If you’re wanting a set with some substance, The Riddler Riddle Racer may not be the right choice but the selection of minifigure does even it out, at least for me. 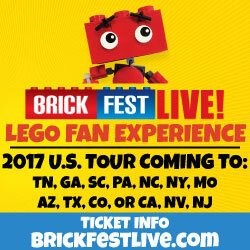 The set will be avaialble starting on January 1.